It is my desire to see men that are not afraid to worship The Lord in our generation, and that are not ashamed. I desire to see men dance like David danced, lead like Moses led, dream like Joseph dreamt, be mighty warriors like Gideon, be mighty men of valor like Jephthah, and seek God like Jacob. I desire to see a Jacob generation, a generation of true worshippers, a generation with tenacious faith, a generation that trusts and believes God no matter what. It is obvious today that there are more female worshippers than there are male worshippers in the house of The Lord, and there’s nothing wrong with there being many female worshippers in fact we praise God for women that worship. We praise God for women that worship and reverence the presence of The Lord like Miriam. However there is obviously a problem in our generation, there is a miscalculation somewhere, satan has definitely interfered somehow. There are less male worshippers now, if anything there should be far more because my bible reveals to me that there were so many men that worshipped The Lord in spirit and truth, both the young and the old. A man can never know who he is if he does not know God, and if a man does not know who God is then he will never know he is a leader, and a man that does not know that he is a leader can never lead his home, his family, his wife and his kids. I’d like to refer back to Moses again, he understood the heart of worship, and because he understood the heart of worship The Lord described Moses as his friend. Moses and God had constant fellowship, and the more they fellowshipped the more Moses transformed into the image of God. The image of God is who we really are. We discover who we really are through constant fellowship with The Lord. Moses was described as a meek man, yet he had anger issues, and speech problems yet God saw him as a leader, a deliverer and if Moses had not tapped into the presence of God by yielding to His will, and constantly communing with Him Moses would never have discovered who he was. The story of our men does not have to stay the way it is, our men are not destined to fail they are destined to win. Our men are not destined to destroy they are destined to deliver. Our men are not destined to leave they are destined to lead. God has the power to change the story of our men. His story is perfect, He has predestined a perfect story but we can never live that story if we are not constantly communing with Him. We can never live His perfect predestined will if we do not understand the heart of worship. Our men do not have to remain as the least amongst others, God can change all that like He did with Gideon. If you’d like to read more about Gideon please refer to my post on DaFruits of Gideon. Our men do not have to live a life of sorrow, God can change all that like He did with Jephthah. If you’d like to read more about Jephthah please refer to my post on DaFruits of The Mighty Men of Valor. God loves humble hearts it’s time to humble ourselves before Him, for He calls those who are humble. He chooses those whom are humble like He did with David amongst his many brothers God chose David the youngest, the shepherd boy. God saw David’s heart, and David was a humble man before The Lord, and because of David’s humility God described David as a man after His own heart. David understood the Heart of worship, and the Heart of our worship is God. Once we understand the Heart of worship like David we will become giant slayers, and we will become kings. Lets not forget that David was a praise and worship leader he praised The Lord with all his heart, and all his might, and ushered his people into the presence of The Lord. The more we praise the more The Lord will elevate us. The key to elevation is through praise. So men and women of God if you desire change in your life, in your family then the best thing to do is to praise. It’s time for our men to dance like David danced, unashamed for The Lord said those that deny Him He shall also deny them, and I don’t know about you but I’d rather be denied by man than to be denied by God. Men are leaders, they are born to lead, it has been like so since the beginning of time. Men of God The Lord said He will bless you with a good thing, and He is not like a man that He should lie. The Lord will bless you with that good thing, with that blessed wife, but He said first you must seek Him first. You must seek Him through praise, and you must seek Him through worship only then will you find your good thing, your spouse, only then will everything else be added unto you, including wisdom. Wisdom comes from The Lord and begins with The Lord. Our men are not foolish, and we rebuke every spirit of foolishness amongst our men. Men of God if you desire wisdom then like Solomon seek God first, pray for wisdom, and you shall surely find it. Lets continue to pray for our men. 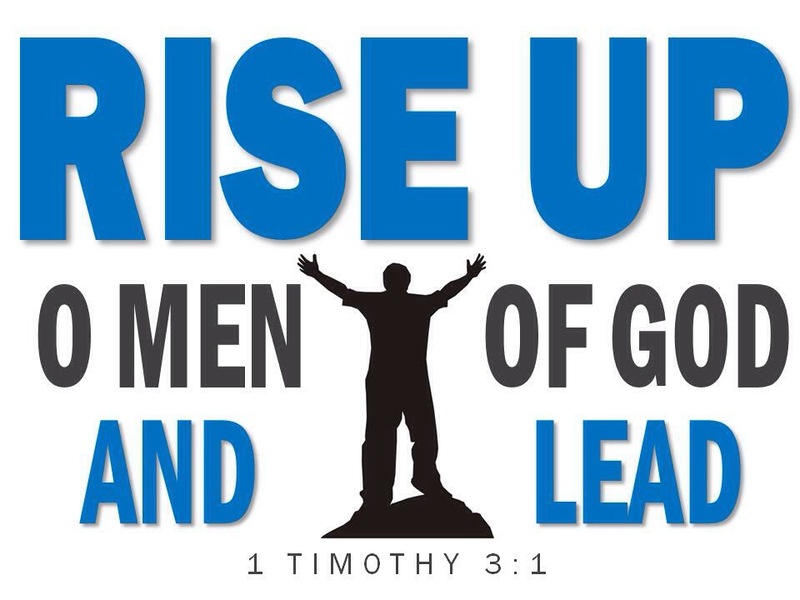 Lets continue to intercede for our men, for our men ought to be as what The Lord has called them to be. We destroy the stronghold on our men in our generation. We come against the spirit of death, we come against the spirit of premature death in the mighty Name of Jesus! Men will not kill, men will not abuse, men will not destroy. Our men shall look to You oh God, and not to the world, not to fashion, not to the media, not to celebrities for self discovery and identity. Men shall live and learn from You. The Lord shall be the perfect example the perfect role model to our men. I renounce and come against the spirit of pride amongst our young men no longer shall they feel that they are too cool to worship and praise our Lord. They shall not be full of self but they shall be full of You, full of Your Spirit. Men shall not be ashamed of bowing down before You, prostrating before You, kneeling before You, crying out to You, lifting up their hands to You. Our men shall see great visions like Daniel, and they shall live great dreams like Joseph. Our men shall find favour, they shall be strong like Samson and give God all the glory. They shall walk with the wise and not with the foolish. Men shall find and discover themselves in Christ, and in Christ they shall be all that The Lord said that shall be in The Mighty Name of Jesus we have prayed! You’re most welcome man of God, we thank God for His Word! God Bless you for sharing this!!!! Thank you. You’re most welcome, we thank God for His Word!